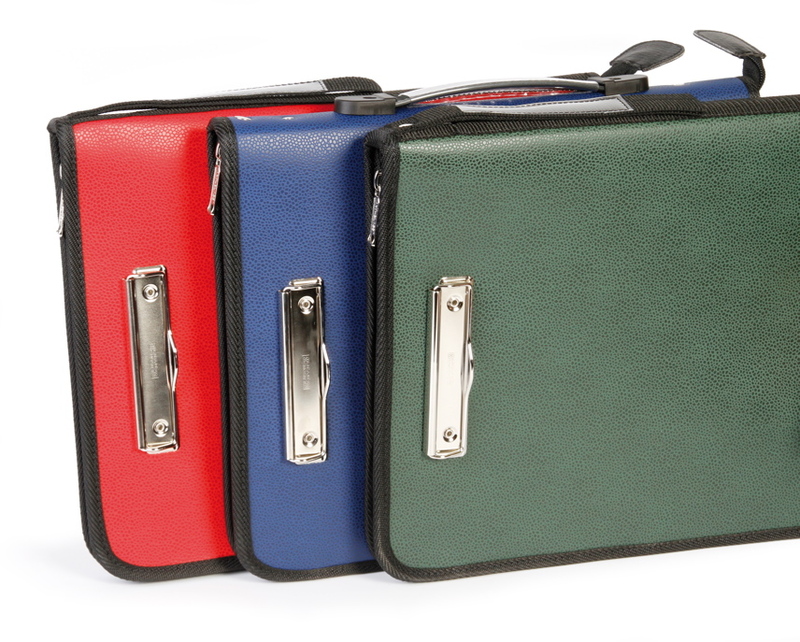 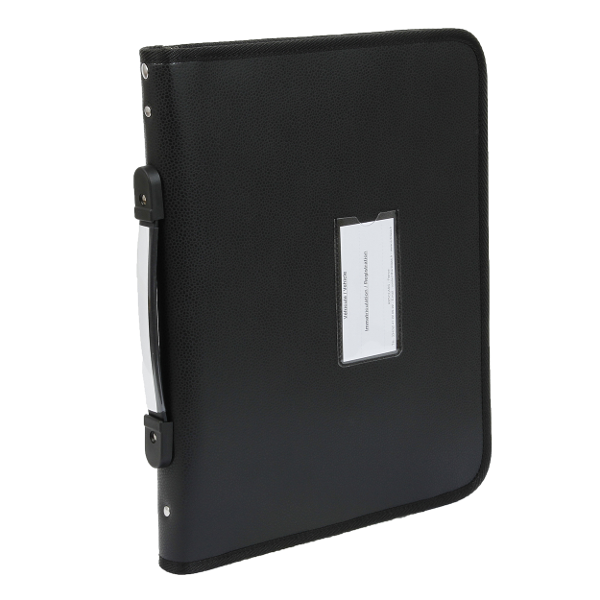 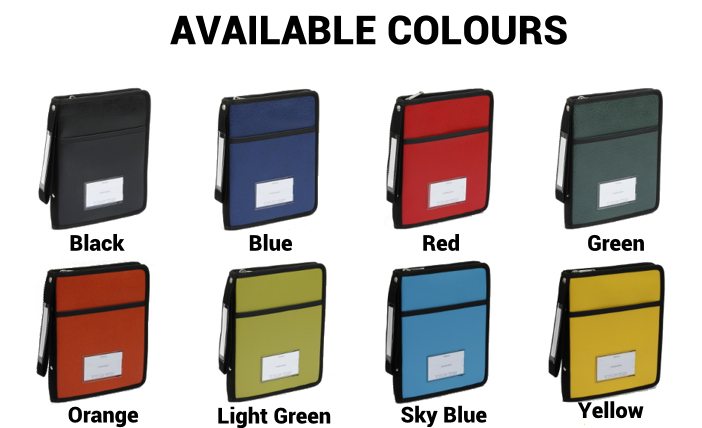 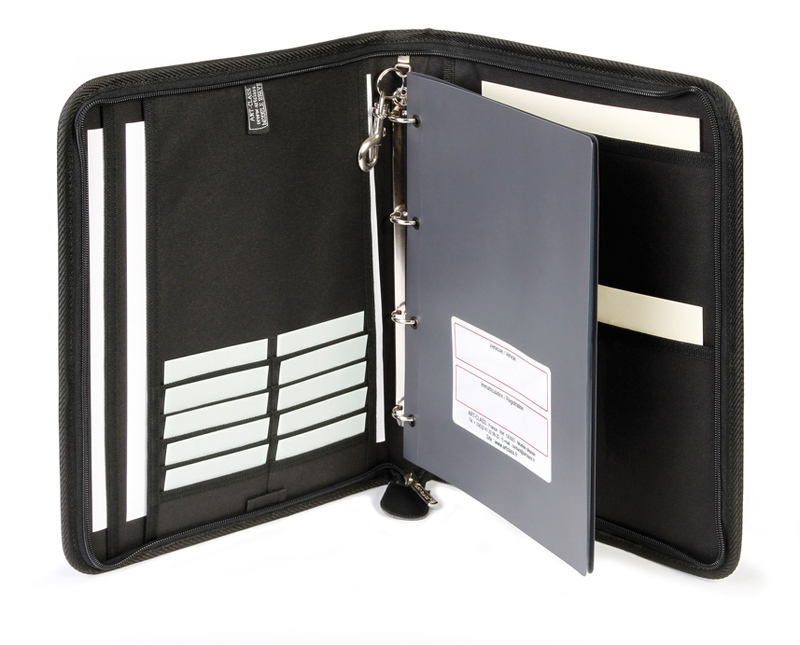 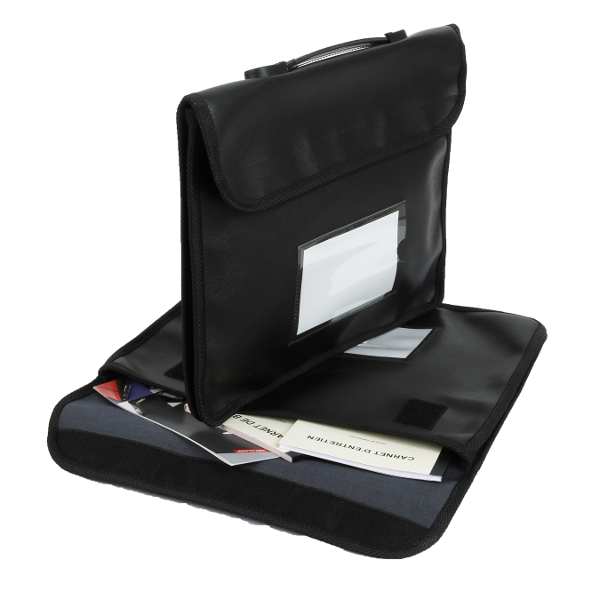 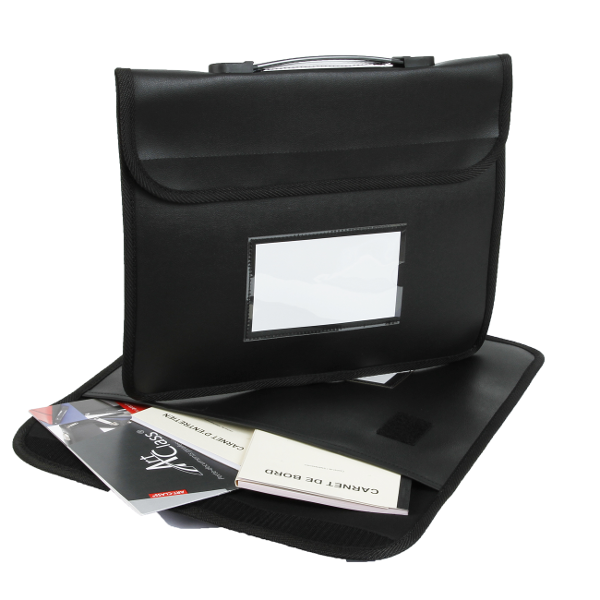 The document holder WITH FLAT HANDLE is made of ultra resistant PVC coated canvas and is washable and waterproof. 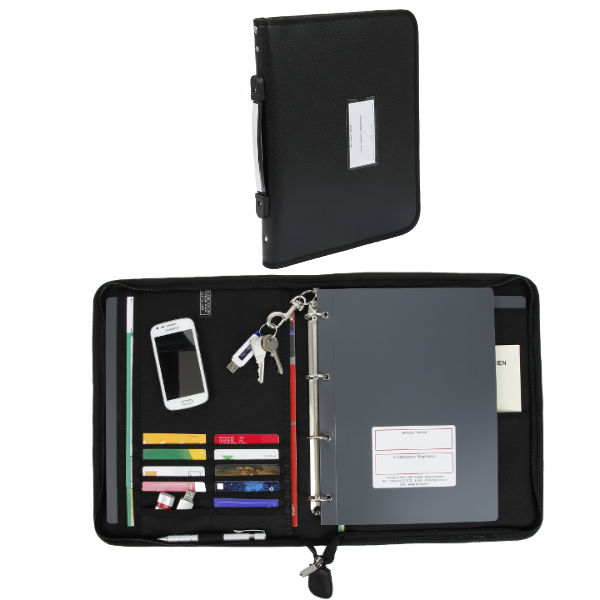 Organize all of your important documents for vehicle maintenance, vehicle checks and everyday tasks: credit card, fuel card etc. 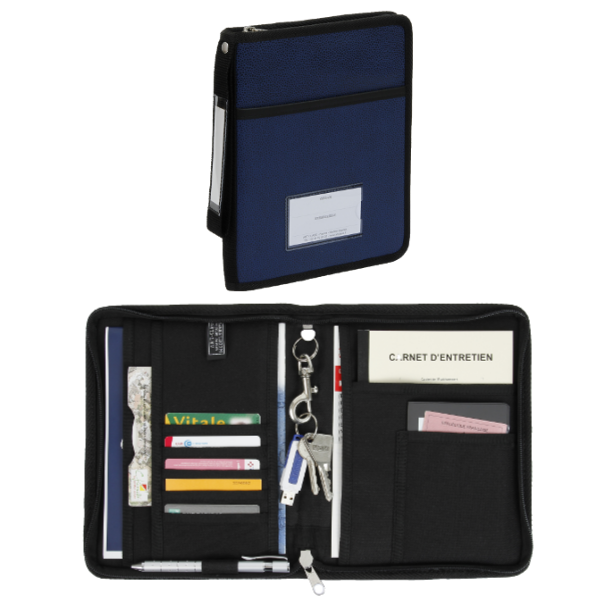 1 carabiner key ring, 1 card holder, 1 back support, 1 handle with label holder, 1 ring binder, 1 multiview dispaly book and one rear clip. 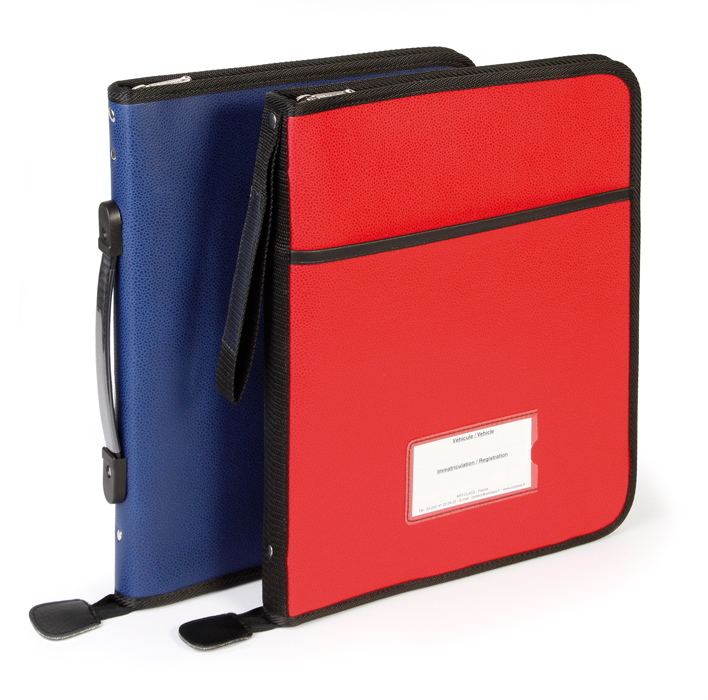 Shipped in 48 hours in blue or black for an order of 1 to 30 items without personalization. 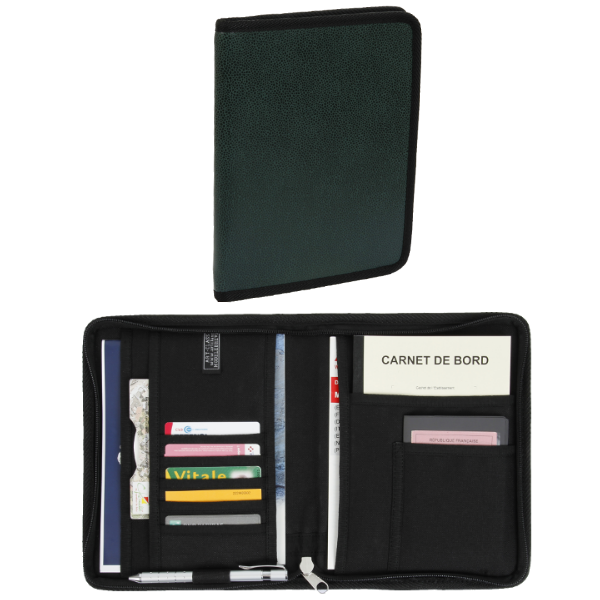 Organization : 10 card holders, 3 document pockets on the left and 2 on the right, 1 pen holder, 1 telephone holder, 3 tachagraph disk spaces. 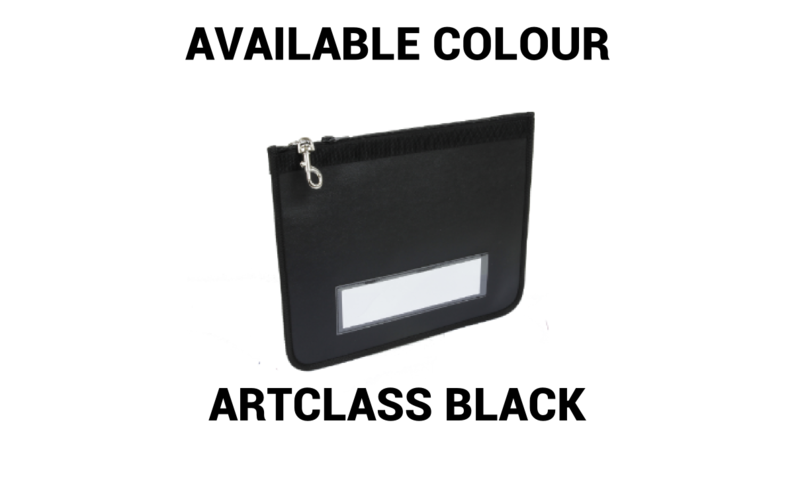 Made in ultra resistant PVC coated canvas, waterproof and washable.